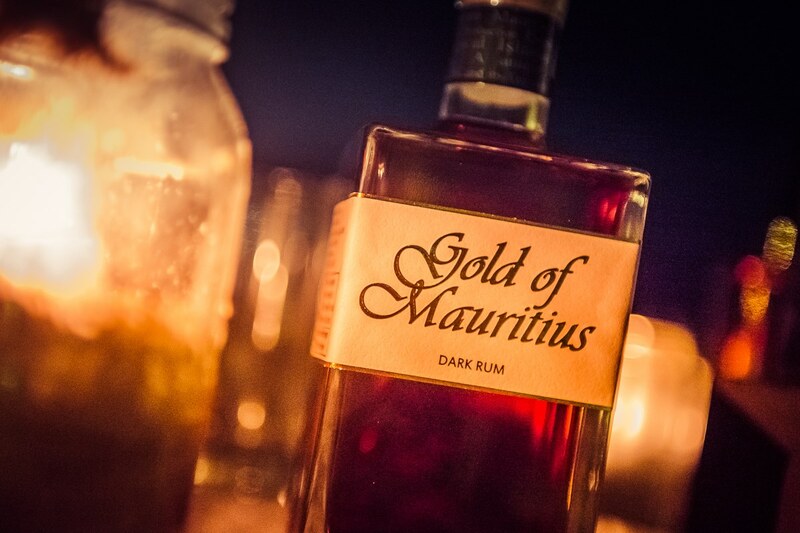 This light and mouthful rum gives us notes of oak, malt and roasted nuts. Well balanced nose, mouth and aftertaste. 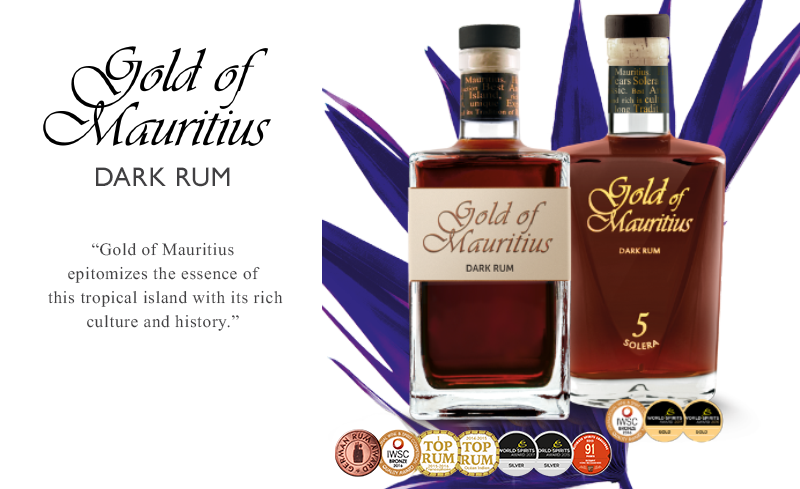 “Gold of Mauritius” captures the spirit of the island. 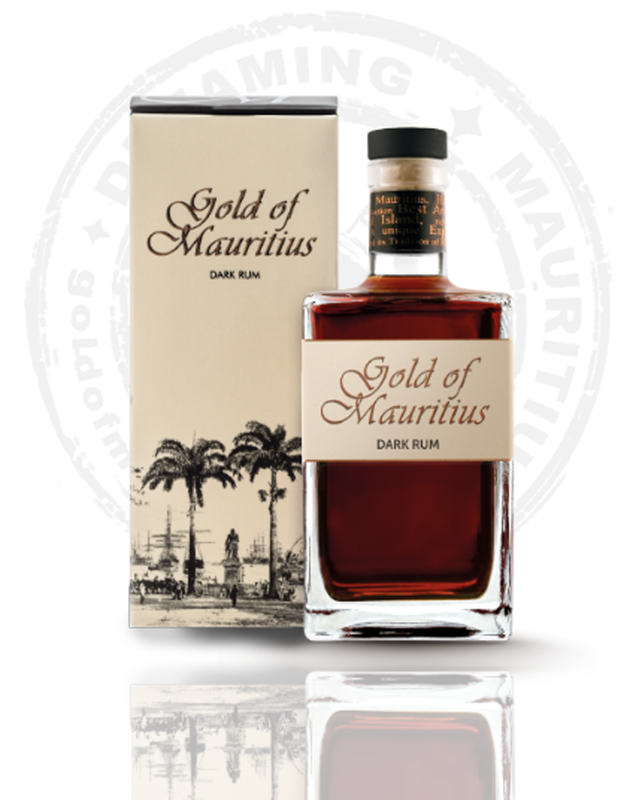 Produced in small batches Gold of Mauritius is extremely smooth and light. 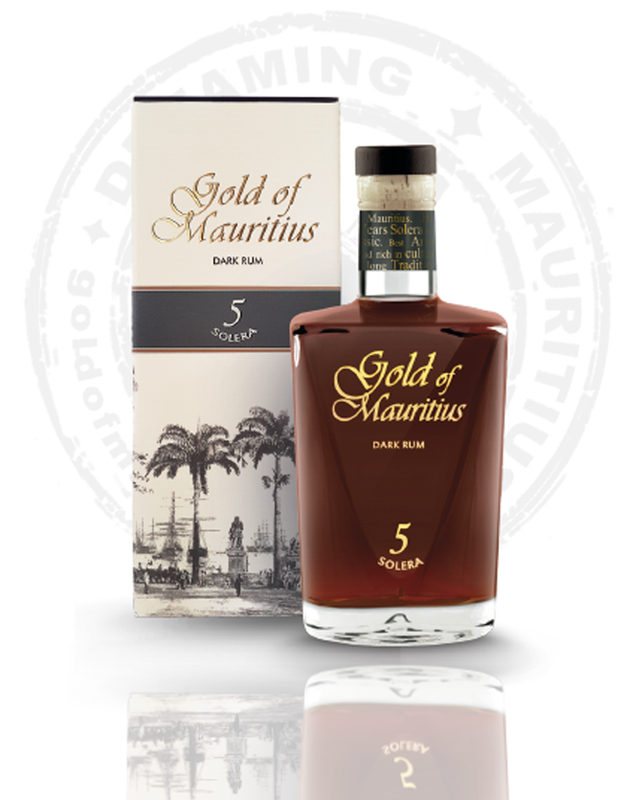 Gold of Mauritius is savoured pure, with little ice, but it is also appreciated in classic cocktails like Old Fashioned or Manhattan. 700 ml, 40% Alc. vol. 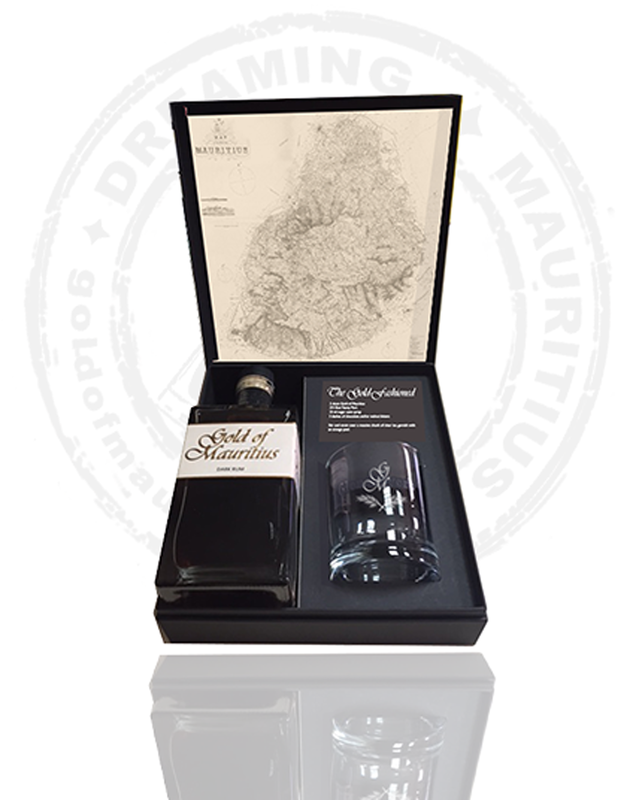 Representing Mauritius as a whole, Solera 5 is a blend of various single distillates from the island, refined in an elaborate process which then reaches its harmonious and aromatic flavour after maturing. “Absolutely love this. This stuff is great, tried it in a little bar in Altrincham called Riddles!! had to go and buy myself a bottle for home! "Incredibly rich with plenty of wood notes combined with roasted walnuts and high in malt. Very smooth on the palate, with the richness subsiding to become, well just rich! Lots of fresh malt, warm fudge, damp oak and sticky toffee on the palate that produces an incredibly long, warm and mouth-watering finish. Sometimes, being a gentleman has its advantages! Our fabulous Gold of Mauritius carefully stirred in our signature classic, the "Gold-Fashioned" (Thank you for the guys at Apotheca in Manchester for this drink)... It is perfect for our rum, and a perfect match to our cigars! - 3 dashes of Chocolate and/or Walnut bitters. Stir and strain over a massive chunk of clear ice, garnish with an orange peel... Sit down, light the cigar and indulge! Welcome to heaven! Add all ingredients except for the cream in a shaker filled with ice and shake until ice cold. Strain over cubed ice and float the cream over the finished drink. 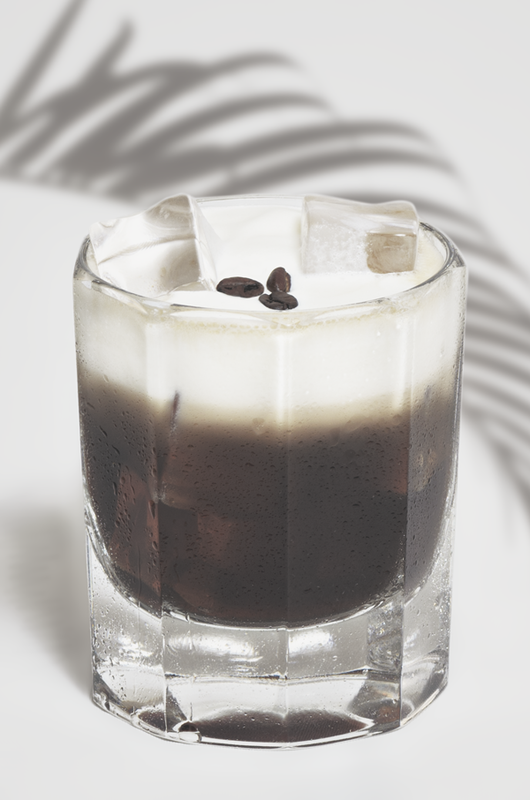 Garnish with three coffee beans (one for love, one for health and one for wealth! ).Hint: Easier to use pre-chilled coffee and whisk the cream a little to aerate it. 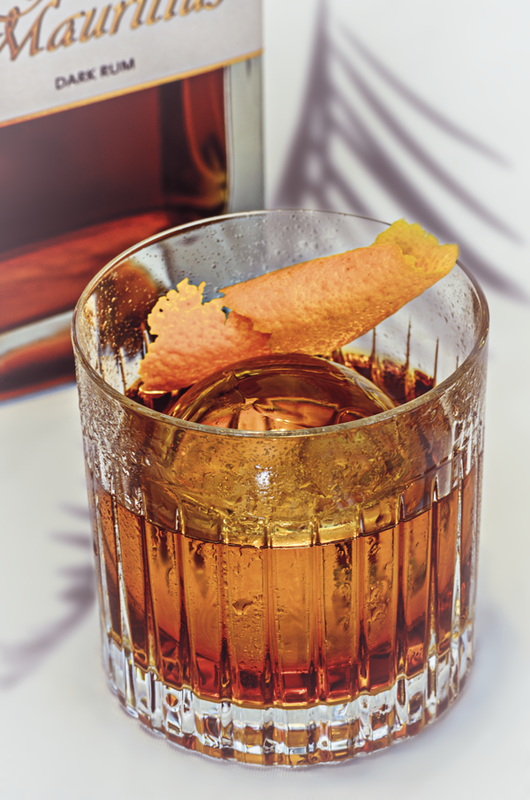 Thank you David Sangwell from the BartenderHQ for this recipe.